You know you're already a running addict if you're mentally preparing for a race the next day--and scheduling your next weekend races as well. As I was telling Makes Coffee Nervous earlier, it's nice to have new goals. Boxing's cool and all but I didn't have any exact goals there. I just wanted to punch stronger and lose weight. 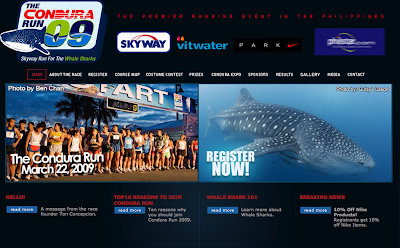 With running, I have race distances to aspire for and paces to improve. God willing, I'll continue to be healthy and keep on running for years to come. 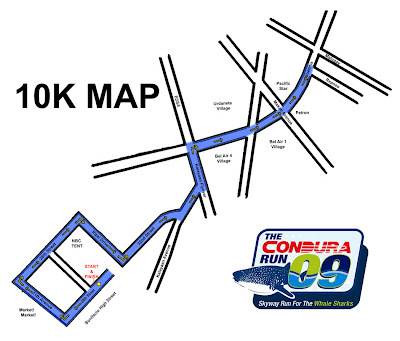 This upcoming Condura Run has a delicious 10K route and I am soooo tempted to run that distance. No Skyway here but at least the 10K runners get to go up the Kalayaan Flyover! My pace will probably be in the 7- or 8-minute range here, but it's not every race day that you get to run the length of a flyover. This is really something to look forward to.